May your Christmas Eve sparklewith merry twinkling lights.May you enjoy the Christmas spiritand holiday delights.May you sing your Christmas Carolsin voices sweet and bright.May the joy of sharing Christmasput the jolly in your night. May you wake up Christmas Morningwith your stocking full of cheer.May your house be filled with musicthat is pleasant to the ear.May you spend your day with loved onesand those you hold most dear.And may you keep the Christmas spiritthroughout the whole New Year. ©2010 By PopArtDiva.Com. All Rights Reserved. 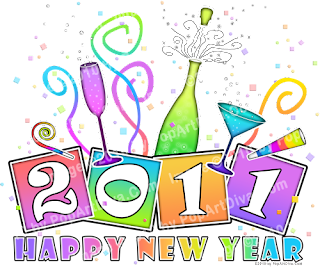 WISHING YOU & YOURSA VERYMERRY CHRISTMASand aHAPPY NEW YEAR! ©2010 by Pop Art Diva. All Rights Reserved. No permission is given to copy, share, reproduce, distribute, post or print without written authorization from PopArtDiva.Com. NEW ART for THE MARTINI DIVA! My latest work of art is a martini illustration for TheMartiniDiva.Com. I had done a cute martini recipe card some time back with a line up of martini glasses where the martini inside gradually went down but I did not do it for products which is kind of dumb of me. 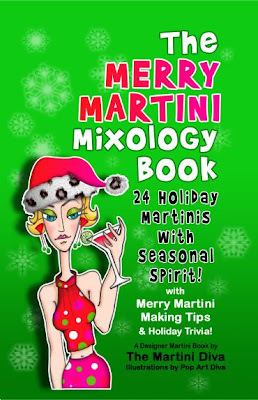 The whole point of giving away free martini cards is to promote my Martini Art! This week I corrected that error and did Going, Going, GONE. Please note that the olives disappear along with the martini! I love those kind of visual puns but not everyone catches them. You will often see a visual pun in my work if you look for it. I've recently added Necklaces, Coasters & Ornaments to my product line at The Martini Diva Boutique AND Necklaces, Coasters, Ornaments, & hard cases for iPads and iPhones at the PopArtDiva Gift Gallery so check out the new goodies! Illustrations for my FIRST MARTINI BOOK! 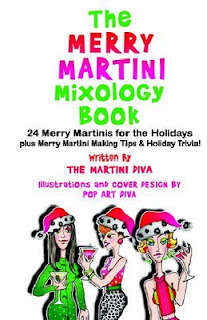 TheMERRYMARTINIMixology Book (Check It Out Here) I have published my first in a series of Martini Recipe books under my brand The Martini Diva™ and, of course, the illustrations are all Pop Art Diva style! Inspiration is a funny thing. It can strike at any time of the day or night and at the oddest times as well. Often I don't know what has inspired me and, frankly, I don't spend a lot of time worrying about it. The inspiration gets crowded out by the creative drive and that's okay by me. After all, it's done it's job and inspired me, it can take a break until I'm done - though it usually doesn't, bringing me even more ideas while I'm working on the current inspiration. Such was the case with my BUTTERFLY POP ART. While I was working on my Retro Pop Art Sixties Sky I included some butterfly silhouttes on some of the bubbles. I was trying to put some detail in them but it was design overkill - they needed to be simple outlines - but that was the precursor to a full butterfly pop art. I made a sticky note to do a pop art butterfly and went back to finish my pop art sky piece. 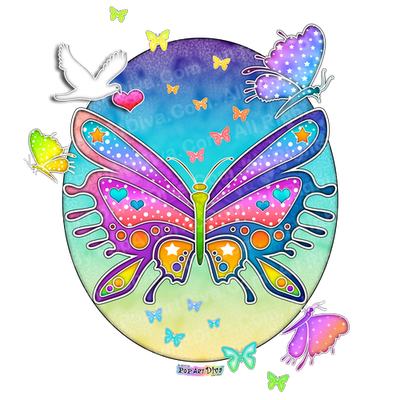 This week I'm finishing up the final pages on my new website for TheMartiniDiva.Com and found a need for that butterfly art. 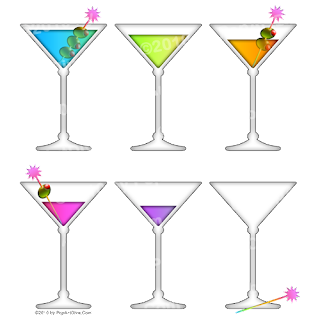 I was designing the web section for my Spring themed martinis which are on recipe cards with a butterfly background and I realized it would be a great time to do the butterfly art and products so I could cross promote them on those Spring martini pages. I did the image in several formats for the different merchandise my art is featured on and I leave my working layers for any licensing requests with special requirements. It's always good to have options available on your designs for other uses. I've even begun to turn my designs into multiple image formats for fabrics - I use these on my Keds sneakers and would love to see them on some cool shirts and pajamas. How cool would it be to have my art on shirts to match my sneakers or some comfy pajamas?